Find a great sale price on this 2019 Ford Transit Connect XLT at Value Ford in Elma Washington. 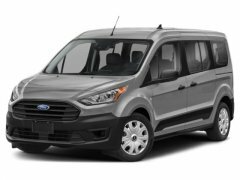 This 2019 Ford Transit Connect XLT is located at our Ford dealership in Elma. We also serve the cities of Aberdeen, Montesano, Tumwater, Hoquiam and Olympia. 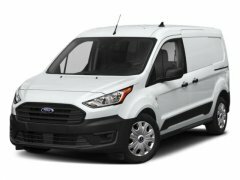 So if you're looking for a great price on this 2019 Ford Transit Connect XLT or just looking to get an auto loan for the vehicle you want... you've come to the right place! Value Ford. Listed sales prices include all standard Factory to consumer rebates such as: Retail Customer Cash, Special Customer Cash, Bonus Cash, Ford Credit Bonus Cash (Must finance through Ford Motor Credit to receive, on approved credit), Trade-In Assistance Cash and Other Bonus Cash. Other rebates may be applicable such as: College Grad Cash, Lease Conquest Cash, etc. See Dealer for complete details and qualifications. Not all customers will qualify for Ford Motor Credit financing. Nav System, Remote Engine Start, Back-Up Camera, WiFi Hotspot, Fourth Passenger Door, ORDER CODE 110A, REAR DOOR FIXED GLASS, DUAL-ZONE AUTOMATIC TEMPERATURE CONTR... XLT trim, Frozen White exterior and Ebony interior. CLICK ME! KEY FEATURES INCLUDE Back-Up Camera, Remote Engine Start, Fourth Passenger Door, WiFi Hotspot Keyless Entry, Steering Wheel Controls, Electronic Stability Control, Heated Mirrors. OPTION PACKAGES RADIO: SYNC 3 RADIO W/NAVIGATION FordPass connect, 6.5" LCD touch screen, AM/FM stereo receiver, SiriusXM satellite radio, HD Radio, 911 Assist, AppLink, Apple CarPlay compatibility, Android Auto compatibility, 2 smart-charging USB ports and 4 front speakers (2 front door speakers and 2 a-pillar tweeters), 4-Spoke Leather-Wrapped Steering Wheel, satin chrome shells, REVERSE SENSING SYSTEM, REAR DOOR FIXED GLASS Day/Night Rearview Mirror, Rear Window Wipers, DUAL-ZONE AUTOMATIC TEMPERATURE CONTROL, HEAVY DUTY BATTERY (80-amp; 800CCA), ENGINE: 2.0L GDI I-4 GAS auto start/stop system and EcoMode (STD), FROZEN WHITE, TRANSMISSION: 8-SPEED SELECTSHIFT AUTOMATIC (STD), ORDER CODE 110A. Ford XLT with Frozen White exterior and Ebony interior features a 4 Cylinder Engine with 162 HP at 6200 RPM*. OUR OFFERINGS Spring Clearance Sale On Now! Call Or Click Today! New-Advertised sale prices are after all factory rebates including retail customer cash, special customer cash, bonus cash, ford credit cash, trade assistance cash, and other bonus cash. Customer may qualify for additional incentives.